Memorial candles are a beautiful, unique addition to a memorial service or keepsake for the home. 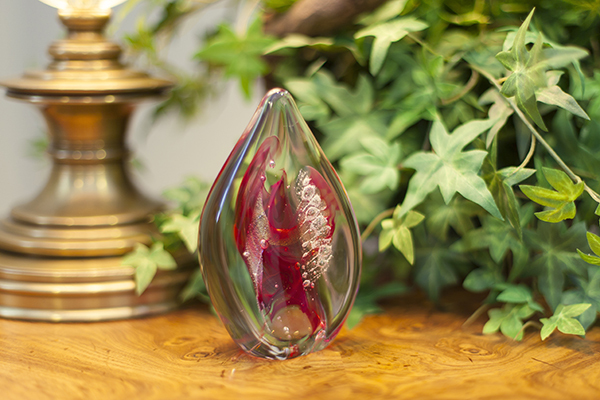 Blown glass keepsakes incorporate a small portion of cremated remains into a one-of-a-kind art piece. 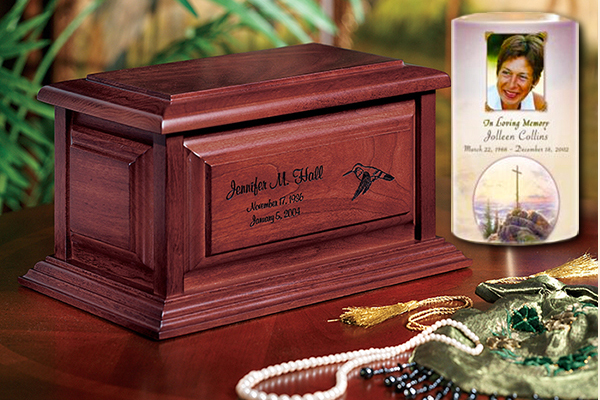 Often a family will want to bury a cremation urn, place it in a cemetery niche or scatter the cremated remains. 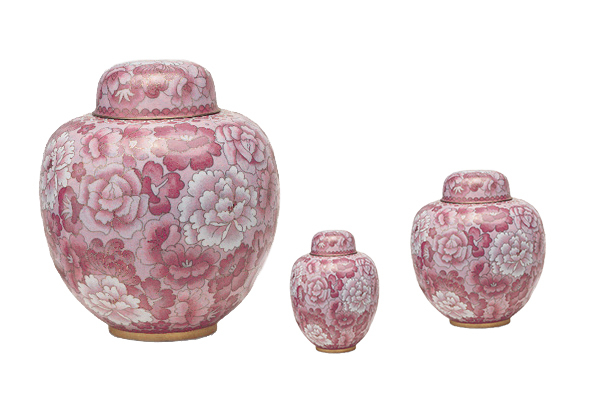 When they do this, they often choose to keep a small portion of the remains in a keepsake urn. 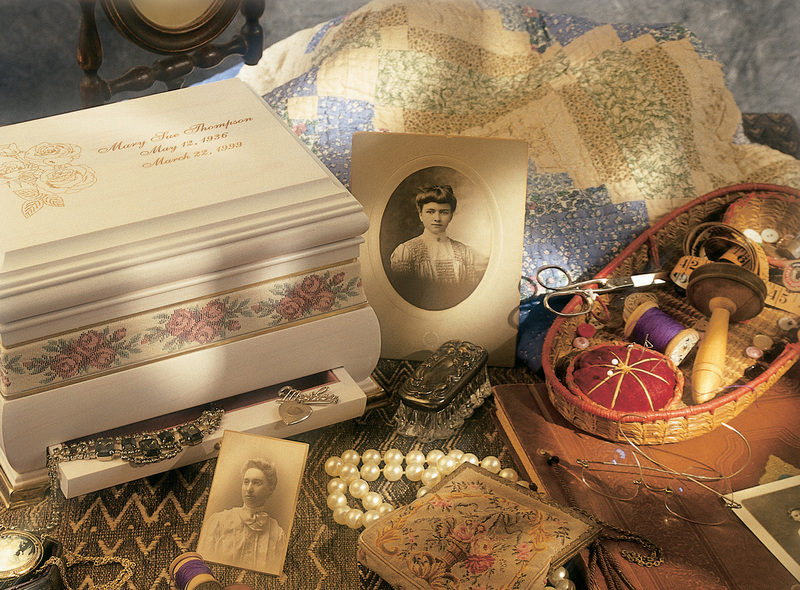 What to include in a memory display for the visitation or service. One of the primary purposes of a memorial gathering is to tell the story of the life that was lived, and share the legacy of what they left behind. 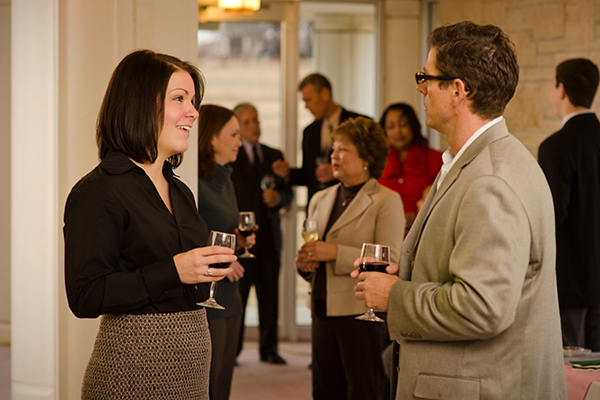 Here we share some types of memorial gatherings to help you find the best way to honor your loved one.